Dedication & Commitment: Owners are active in the daily chores of the stable. With a small semi-public stable we get to know your horse well on a daily basis and their individual needs. 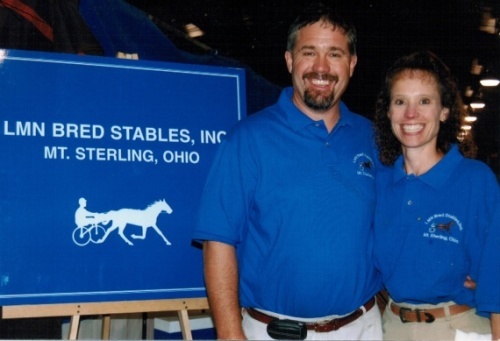 We are fully committed to the care of your horse – racehorse, broodmare, yearling or weanling – and its needs. Knowledge & Experience: Over twenty years in the business. Continuously improving on all levels of breeding, yearling preparation and training to make your horses home the best. Communications: Continuous updates on how your horses are doing. We will always keep the owners advised on your horse’s ability to compete in races or its breeding status and yearling development. Professionalism & Honesty: Providing guidance on the status of the horse’s ability to perform as a racehorse or broodmare. We will never lead an owner to believe their horse will be better next week or next year just to keep collecting a training or board bill. Individuality: All horses are treated as being their own entity. Each racehorse has its own training program. Broodmares are treated as individuals to make sure your mare has a healthy foal. Detailed attention is paid to yearling preparation in order to optimize profits at the sale. Environment: We try to bring out the best in your horse by providing a relaxed atmosphere on the farm.